Play golf in our FORTNIGHTLY LEAGUE with the final two teams entering a FINAL PLAY OFF . First round commencing Monday 18th February 2019. 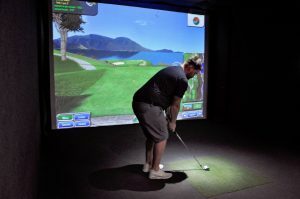 You will play a different golf course each week on our state of the art indoor golf simulators. Two players per team (players can change) representing your business each week. 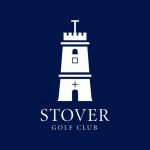 Sponsored and with PRIZES by SRIXON and STOVER GOLF CLUB. 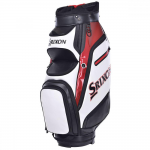 4 Ball Voucher for Stover + SRIXON golf balls. Here at The Bunker Indoor Golf we have over 190 world famous golf courses to choose from. 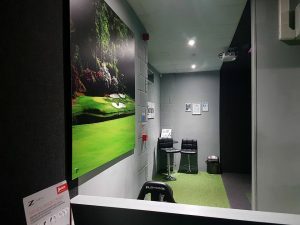 The ideal location for golf whatever the weather. Play iconic courses such as Celtic Manor, Carnoustie 2010 and Pebble Beach. 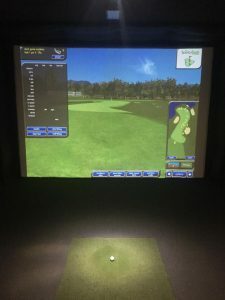 Test your game on the most up to date golfing software. 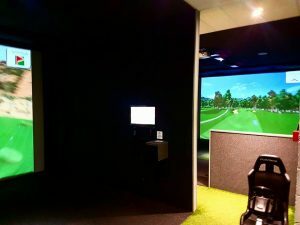 Did you know we have PGA Coaching Professionals on hand to offer tuition individually, to groups or to tailor to your group’s package. 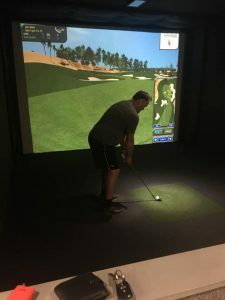 Your game never needs to not live up to the wonderful indoor location here at The Bunker Indoor Golf. Get in touch!